The doors have officially opened at Gower College Swansea’s brand new Lego Education Innovation Suite. The only educational suite of its kind in the local area, this facility will be used by students, school pupils and employers to enhance their digital skills using Lego. 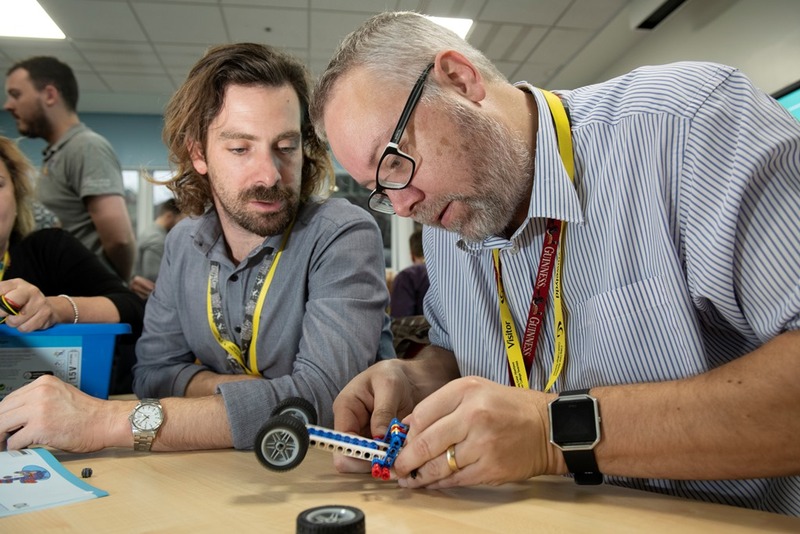 Among the first users were staff from ABMU Health Board’s Informatics team who spent an interesting day at the Tycoch Campus using Lego to facilitate problem solving and team building training exercises. The Lego used on the day ranged from simple build kits to the more challenging Mindstorms hardware/software platform. 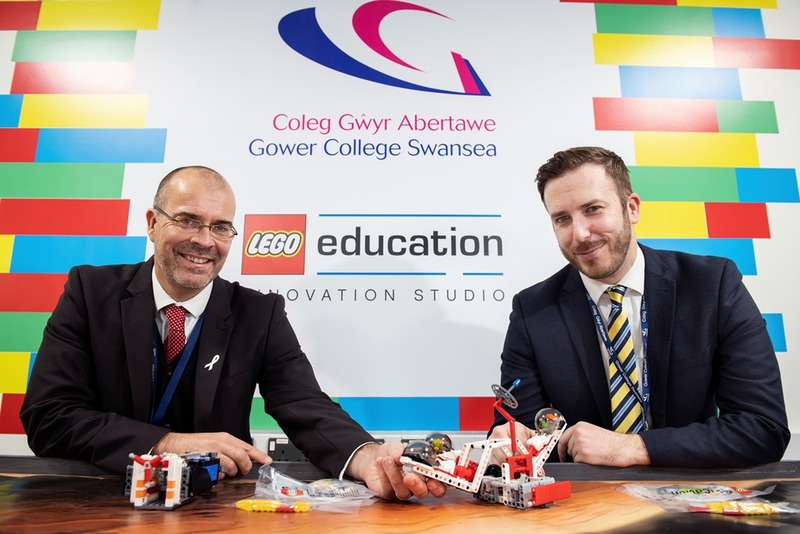 The development of the Lego Suite, which was funded by the Welsh Government’s Skills Priority Programme, came about following a recommendation by Professor Tom Crick, who has been appointed by the College to lead on the development of digital skills across the region. The College then worked in partnership with The Big Learning Company, one of the UK’s leading digital learning and teaching organisations, to develop this vision with Lego overseeing the specialist training of College staff to deliver lessons incorporating literacy, numeracy, problem solving, coding and robotics. “This form of training will equip learners with the kind of relevant, key employability skills that will set them in good stead in the workplace,” says Learning Area Manager Bruce Fellowes. “We are really excited about the possibilities that this new facility has opened up - not only encouraging young people into STEM through using Lego, a format they are likely to be familiar and comfortable with, but also building more links with local employers who can use it as an assessment and training centre.